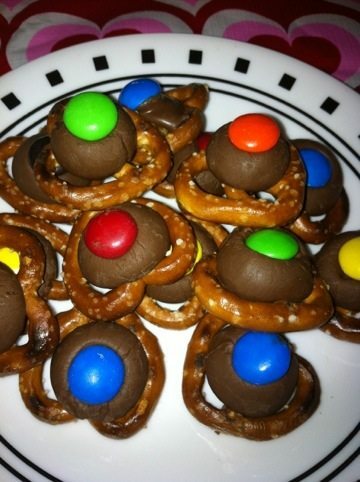 These are great for a snack, holiday parties, school parties and even bake sales. 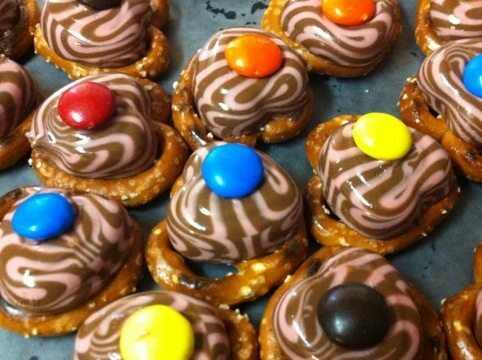 Thanks to all the different types of Hersey kisses available the ideas are endless. 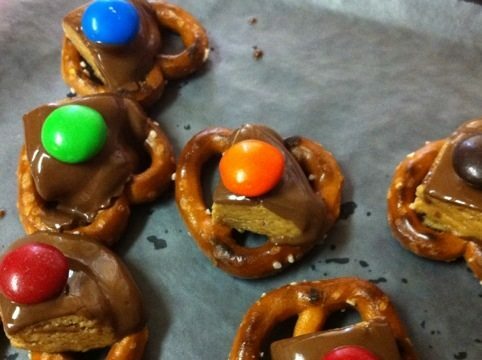 If you are watching your weight, and you have any sort if willpower at all, which I do not, these are 1 point in Weight Watchers for 1 pretzel kiss. 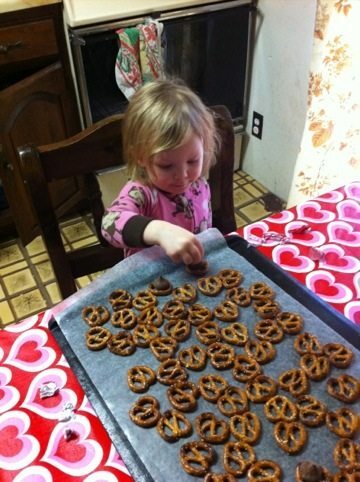 Place the pretzels on a cookie sheet in a single layer. Open the kisses. 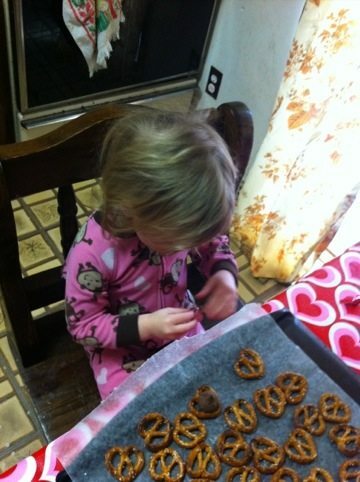 Place one kiss on each pretzel. Bake for 5 minutes at 200 degrees. 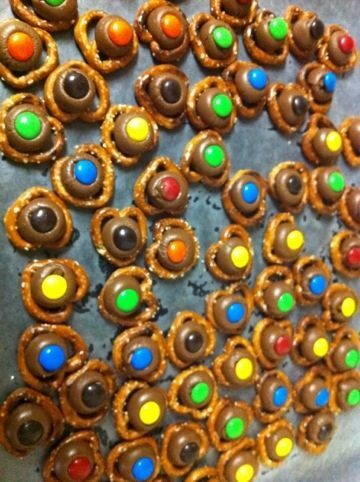 Remove from oven and immediately press an M&M into each Hershey Kiss. Let cool until the kisses reharden, about 3 hours. *Since Valentine’s Day was the other day I found some Dove Strawberry Swirl Chocolate in clearance for about a dollar. This recipe is so versatile I used that too. And being the peanut butter cup junkie I am, I have been known to use miniature Reeces or to cut a full size Reece down. Whenever you use other candy be careful with the time. It changed. It is usually less time. You do not want to melt away you chocolate.